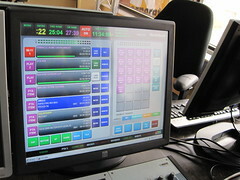 I was given a tour of PROUD FM today by its program director, Bob Willette. I got to know Bob because he used to be known as Bingo Bob when he was producing the Humble and Fred show on CFNY and MOJO. 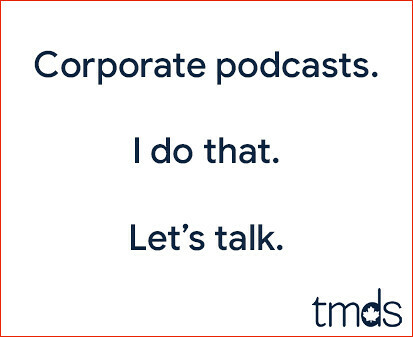 I actually interviewed him three years ago when PROUD FM first launched. Before I dive into the virtual tour, here's a little more background info on PROUD FM, copied straight from good ol' Wikipedia. 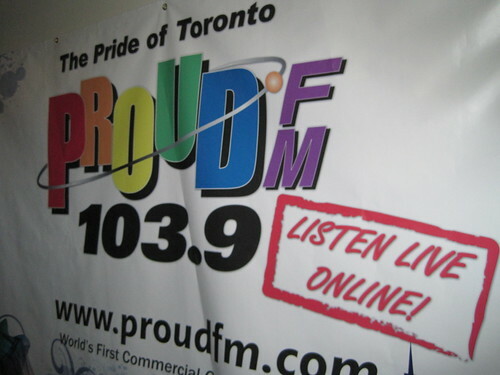 CIRR-FM, branded as 103.9 PROUD FM, is a radio station in Toronto, Ontario, licensed to serve the city's gay, lesbian, bisexual and transgender communities, launched in 2007. 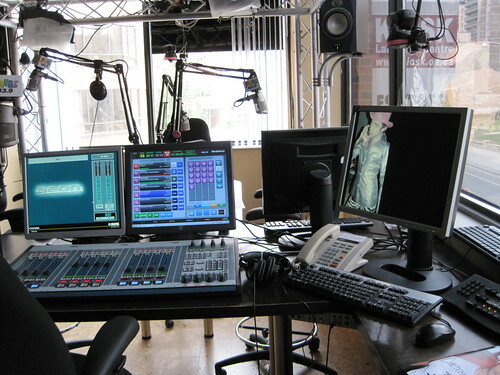 It is the first radio station in Canada targeted specifically to an LGBT audience, and the first commercial terrestrial LGBT radio station in the world - all earlier LGBT radio stations, such as Joy Melbourne in Australia, Radio Rosa in Denmark and SIRIUS OutQ on satellite radio, were operated by community non-profit groups or aired on non-traditional radio platforms. 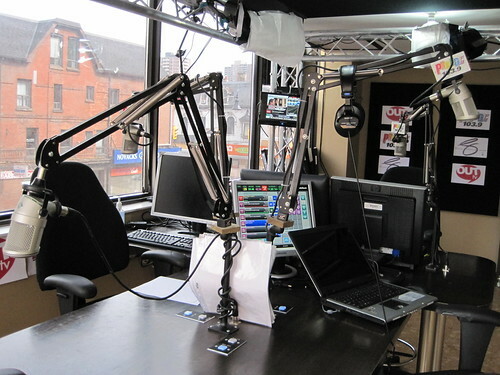 PROUD FM is located at Church and Wellesley, at 65 Wellesley Street East. 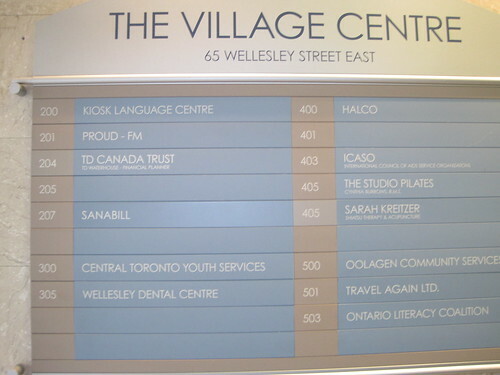 Here's a picture from the lobby showing it's in unit 201, right beside a TD Canada Trust office. 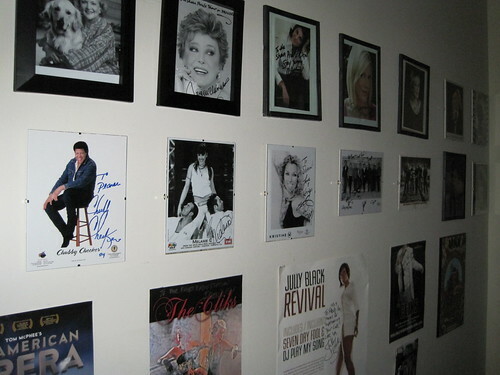 The first thing you see when you walk in is the PROUD FM wall of fame. You know some big names have roamed these halls when you see autographs from such megastars as Betty White and Chubby Checker. The main studio is where all the magic happens, and that's where I spent the afternoon. Here's how it looked when I first walked in. Here's a shot from the west side of the room. You can see the intersection of Church and Wellesley in the background. When Bob left the room, I started rummaging through the prize binder and tapes, and started playing with the board. I hope he doesn't read this. 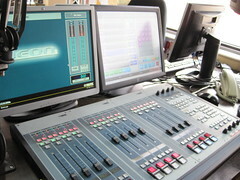 PROUD FM is a lot like other radio stations I've visited, only gayer. 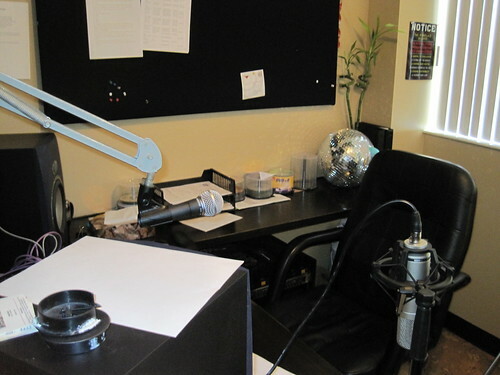 For example, here's a room where the talent might record voice overs and promo spots. Note the disco ball in the corner. 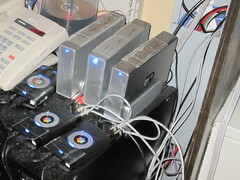 PROUD FM is looking to increase the station's signal from 50 to 128 watts. 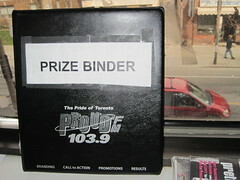 Unless you live downtown, you'll still have to listen online, which you can do at http://www.proudfm.com/.